Super ,cisto ,komfortno,blisku do centar, bogat pojadok. 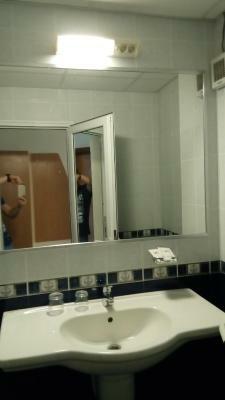 It's obviously renovated...clean and looks very sterile and cold ... very cheap .. 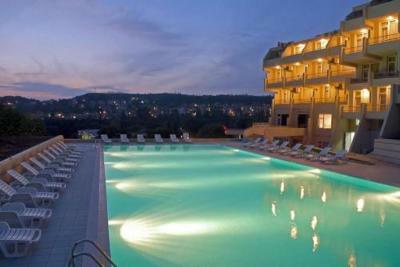 This is an old communist style spa hotel which happily has had a major facelift and refurbishment. The room was a good size and we had a balcony with a great view of the town. 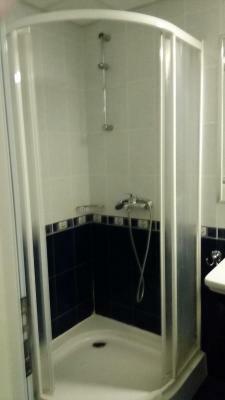 The shower room was ok. Staff were friendly and very happy to help you. My wife had a massage and spa treatment which she was very happy with and the prices were very good. There was a large outdoor pool but we didn't have time to try it. Good view. Although out in the woods it is near the centre - you can go on foot. Добра храна, чисти стаи, любезен персонал, топла вода, работещи радиатори. Изключително любезен и отзивчив персонал,прекрасен ресторант с отлична кухня, много добро местоположение! Не се възползвах от закуската , пих само кафе , което трябваше да си платя , въпреки ,че имах включена закуска . Πολύ ευγενικό προσωπικό και ρεσεψιόν και εστιατόριο. Το φαγητό άψογο. Хареса ни персонала...Храната...И хотела като цяло. Персоналът, разположението на хотела, басейнът с минерална вода, спа центърът и процедурите, атмосферата. Това е място, на което бих се върнала. Хотелът е в постоянен процес на обновление, в момента се строи и закрит минерален басейн. 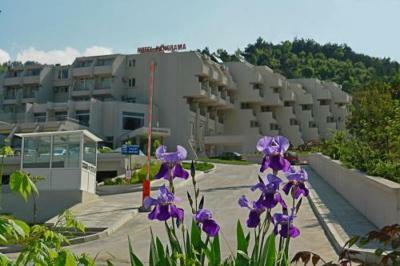 Panorama Hotel is situated in the spa town Sandanski, surrounded by lush forests. 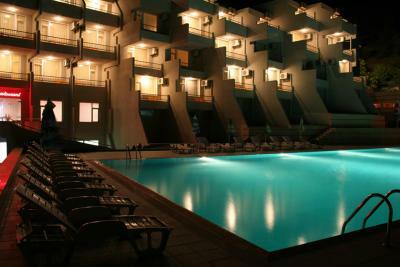 The spa area offers various beauty treatments, physiotherapy and a jacuzzi. An outdoor pool is on site. The Panorama Spa also features a fitness center, multiple saunas, massages, and aroma therapy. 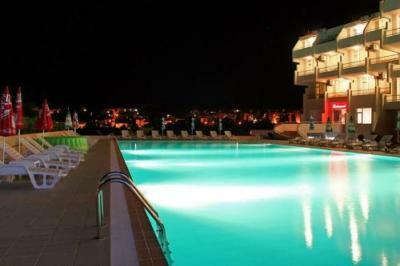 Guests can enjoy both national and pan-European cooking in the luxurious restaurant of the Panorama. A spacious, covered terrace with panoramic views complements the restaurant. The lobby and the pool bar serve fresh juices and cocktails. All air-conditioned rooms have balconies and free access to Wi-Fi. Room service is also available upon request. Free private parking is available in the covered parking lot. 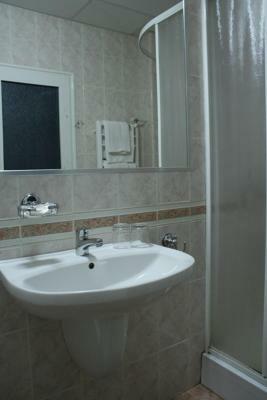 This is our guests' favorite part of Sandanski, according to independent reviews. Breakfast was a dissapointment. The eating area was too small for the number of guests and the two people trying to clear tables and restock food items were unable to cope. This meant that a lot of tables had plates etc on them for a long time after people left and there was a rush for food items when they came out of the kitchen. The food we had was ok.
Poor service in the restaurant, the breakfast was inedible. But there are plenty of good places in town to eat. You can go only once per day in the sauna, you have to reserve it prior to that, and on top of it all: it closes at 17.00 o clock - so NO evening sauna is possible. Jacuzzi is too expensive (20 leva for 20 minutes). No indoor pool. The hotel definitely needs a spa center..at least indoor thermal pool.Its a pity not having one while the city in lying on the mineral water springs..
closed facilities, rotten food (yes the bread was turning green!) , cold and poor breakfast, doors that could easily be opend from strangers, cold room. almost nothing was working at the gym +Small beautiful worms had taken over. almost nothing. the pillow was good at least. The hotel had a bad smell of burn rubber. When we arrive the staff didn't know about our reservation and give us the wrong room that was one room when we booked an apartment and they want that we pay the amount of the apartment. The swimming pool is infected and the water look like radioctive green.